Jane Kenyon was born in Ann Arbor in 1947, and received her MA in English Language and Literature from the University of Michigan. In 1975 she moved with her husband, Donald Hall, to his family's nineteenth century farmhouse in New Hampshire. She was active in the community, particularly in the Hospice movement. From Room to Room was her first book, published by Alice James Books in 1978. She was an active member of Alice James Poetry Cooperative and a supporter for many years. She was the author of four other collections: The Boat of Quiet Hours, Constance, Let Evening Come, and Otherwise: New and Selected Poems. With a Russian scholar, she translated Twenty Poems of Anna Akhmatova. 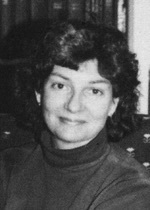 Jane Kenyon died at her home in New Hampshire in April, 1995.